The Zurich Classic is a great tournament that has a decent field of PGA Tour players that make this stop on their schedule. Some golfers are playing a big string of tournaments after the Masters and some are gearing up for the PGA Championship in two weeks’ time. Played at the TPC Louisiana the Zurich Classic has always had a history of big names that have played and been crowned champion. Want Expert Picks for the 2019 Zurich Classic of New Orleans? The 2019 Zurich Classic is a bit of a different format than most PGA Tournaments. 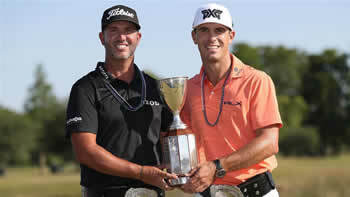 The PGA Tour has made this tournament a two-man team format which will feature two rounds each of Foursome and Four-Ball competition. By all accounts the new format is liked by the players and is probably here to stay. Fantasy golfers unfortunately got locked out of the fun as the format doesn't allow for any type of DFS games but this may be the time to look at betting on golf as this tournament lends itself to betting and prop betting quite well. If you haven't joined a golf betting site, check out Bovada which is one of the Top US Betting sites. If you are in Canada, the link below will take you to the Bodog site. Take advantage of our HUGE SIGNUP BONUS when you join using our links! 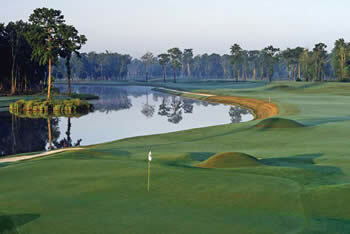 The Tournament began as the Crescent City Open back in 1938 and was won by Harry Cooper. As mentioned above, there are no fantasy golf games for the Zurich Classic but you can still bet on who will win the Zurich Classic. Sometimes you are the one that can find the best expert golf picks for a tournament like the Zurich Classic of New Orleans and a site like Golfstats.com is a site that helps you do research easily instead of looking at multiple sources. It is a one stop shop for stats and info for every PGA Tournament that provides you all the research you'll ever need and also gives you their Expert Golf Picks to Win!